Friday is my favorite day of the week. It’s a day where I get to unwind from the crazy week and just relax. I love a good at-home spa treatment and my Friday's usually consist of multiple face masks, hair mask, and all things beauty! 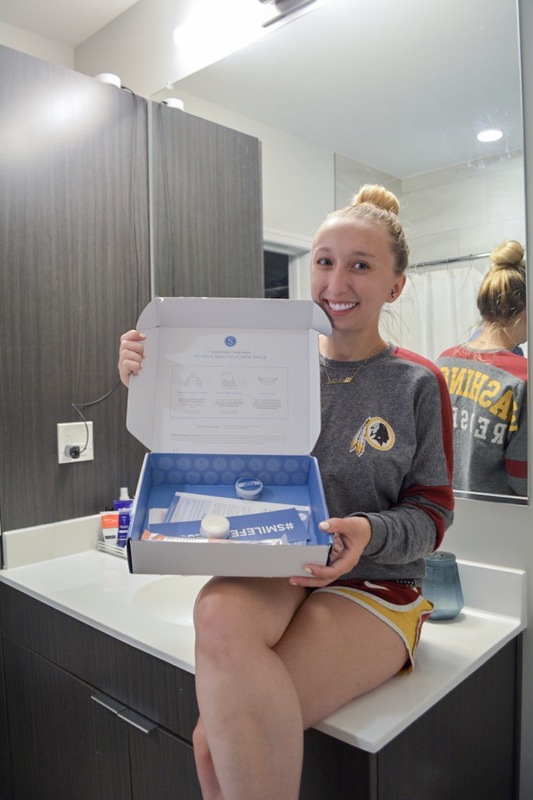 Something that I have been incorporating into my beauty routines has been my Smile Brilliant Teeth Whitening Kit. I have always struggled with trying to keep my teeth aswhite as possible ever since I was a teenager. I had braces for over seven years. Yup, you read that right. Seven years! Plus on top of that I am an advent coffee drinker. Between those two facts, I have a lot of stains on my teeth that I am constantly trying to fight off. I’ve t tried whitening strips and gels before, but they never seem to work on me as well as they do on others. Plus, they make my teeth hurt! I realized I had really sensitive teeth and eventually gave up on the harsh chemicals that are found in whitening strips. Aside from using whitening toothpaste, I just haven’t found a product that worked for me. That was until I found Smile Brilliant. 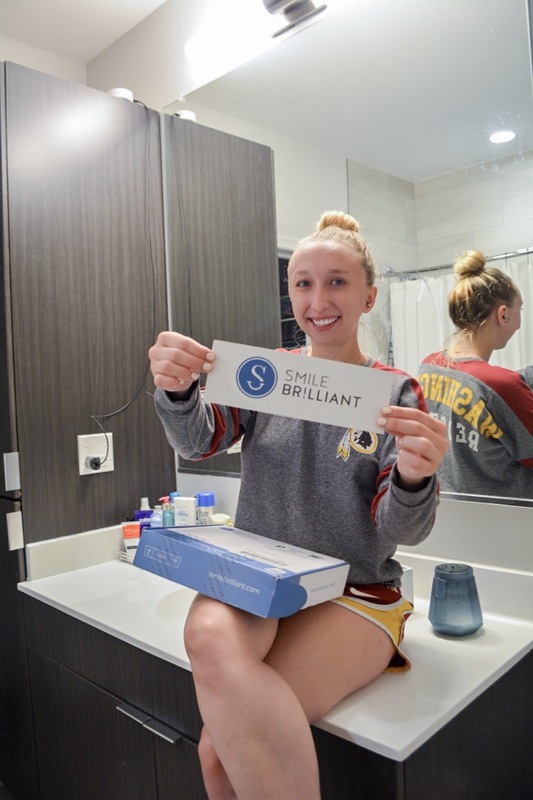 Smile Brilliant is a customized teethwhitening system that is made just for you. Everything about the system is 100% personalized which means you won’t be disappointed. They even have a section asking if your teeth are sensitive (huge bonus points for me!). 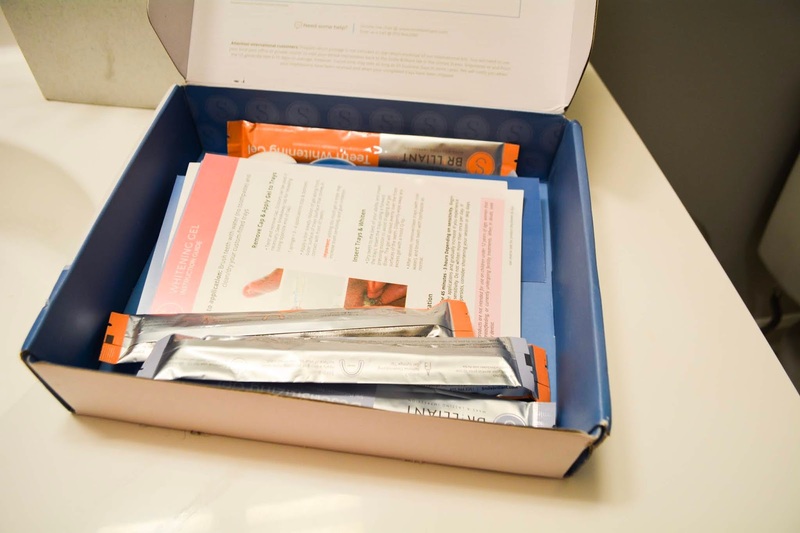 Once you receive your kit you will be sending in impressions of your teeth so the lab can create custom-fitted teethwhitening trays. 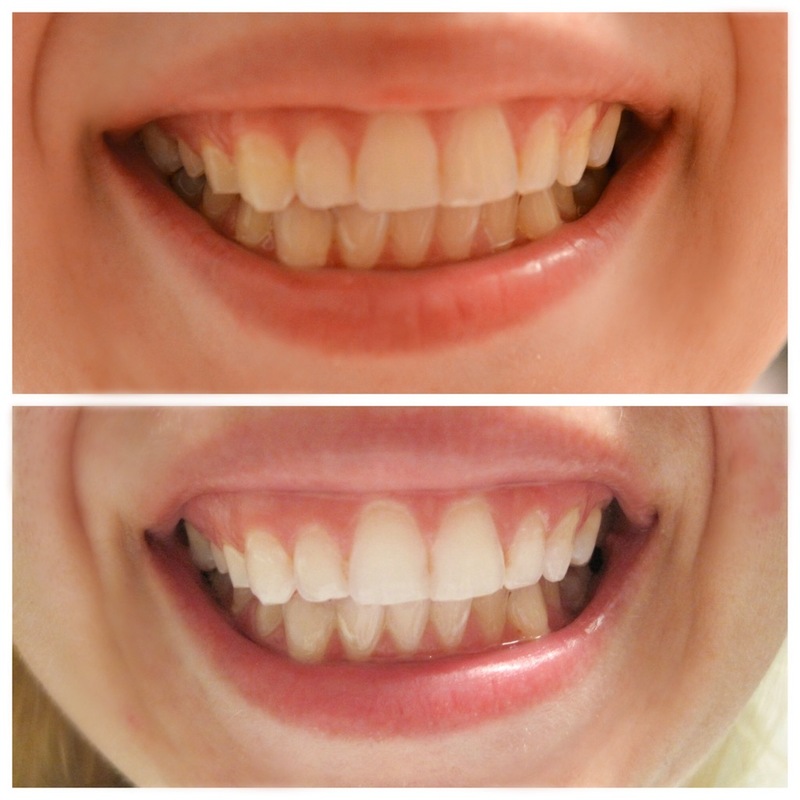 Once you get your custom made whitening trays is when you can begin your teeth whitening process. 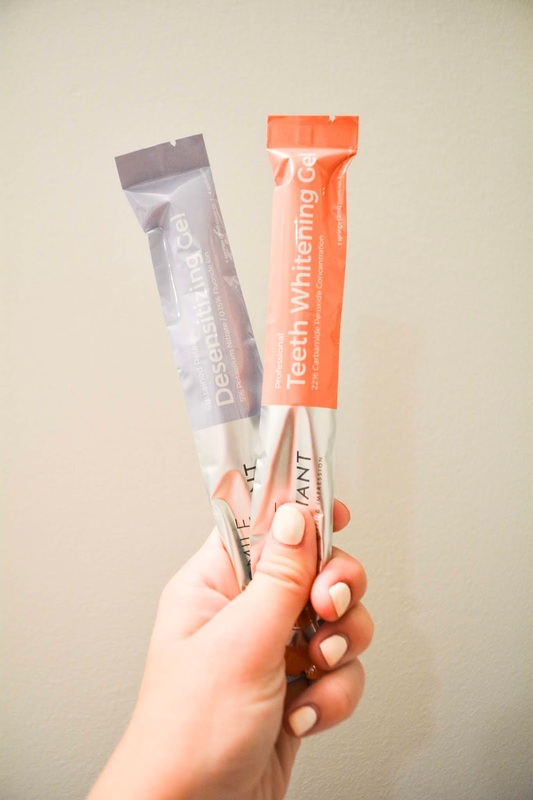 Depending on the package you choose, you will receive professional teethwhitening gel and if you have sensitive teeth like me you’ll also receive desensitizing gel. It’s that simple and I’ve seen results even after one try! 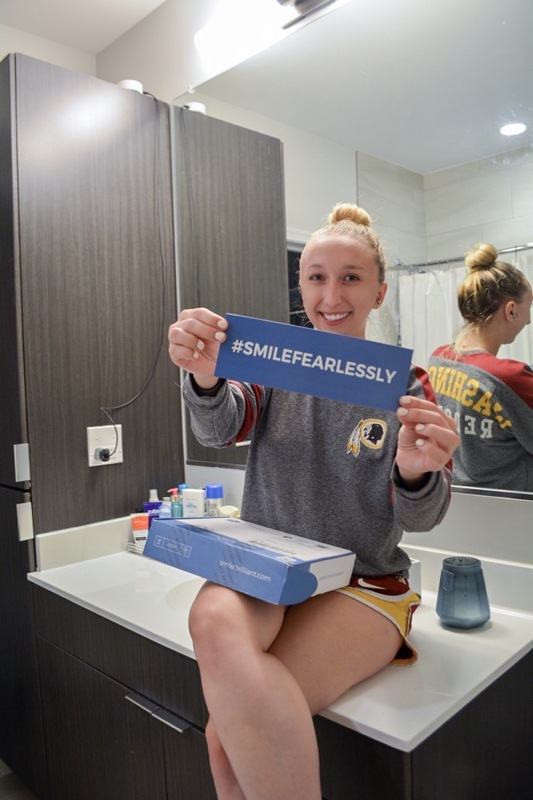 The Smile Brilliant team is made up of dental professionals with more than 30 years of teeth whitening experience. 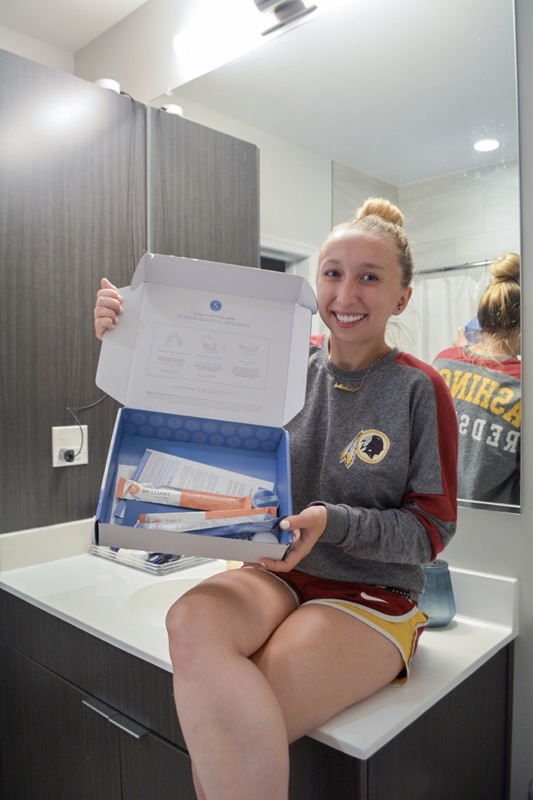 They also realized that teeth whitening doesn’t have to be as expensive and complex as some dentist make it out to be. I also love that they have a money back guarantee processes because they understand not everyone’s teeth are the same. Let’s talk about the products though. Smile Brilliant always suggests to do about 12 treatment to see best results, but you do start to see results after just a couple treatments. 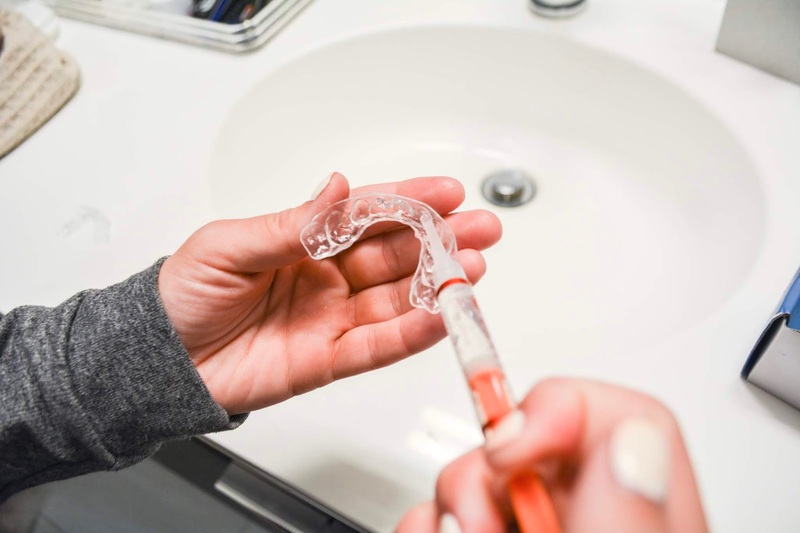 The gel formula works to create a “sticky gel” that creates an even distribution and adhesion to the teeth to reach into the pores to life out stains. The desensitizing gel (which is personally, my favorite aspect of this) is formulated to help eliminate sensitivity caused by whitening as well as preventing re-staining in the processes. 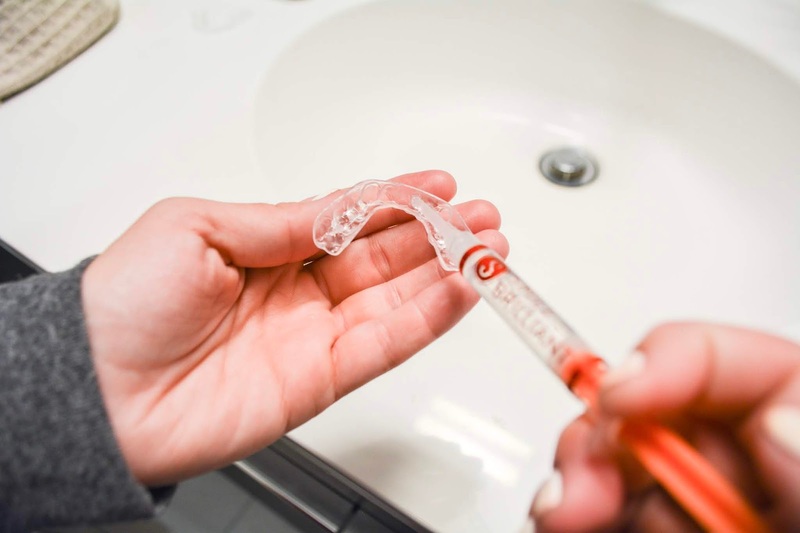 During the teeth whitening process, teeth can become dehydrated, which is what causes the pain that most people feel. 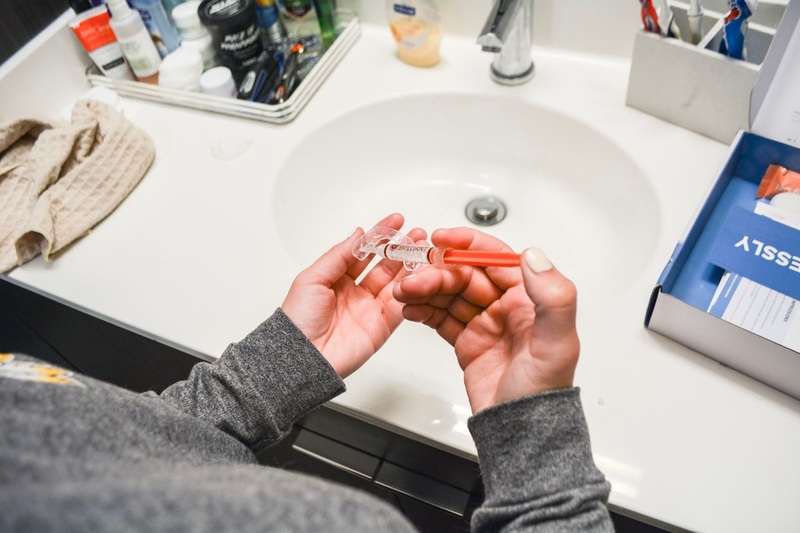 The desensitizing gel helps to counteract this issue by temporarily blocking pores and keeping your teeth hydrated throughout the whole process. I have been using Smile Brilliant for about a week now and I have seen some incredible results. 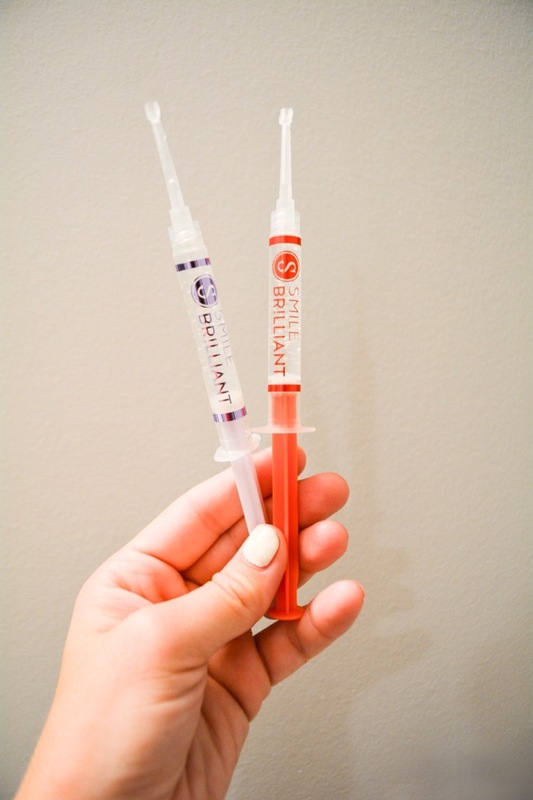 If you’re like me and love to have a relaxing Friday, then you must add Smile Brilliant to your beauty routine. 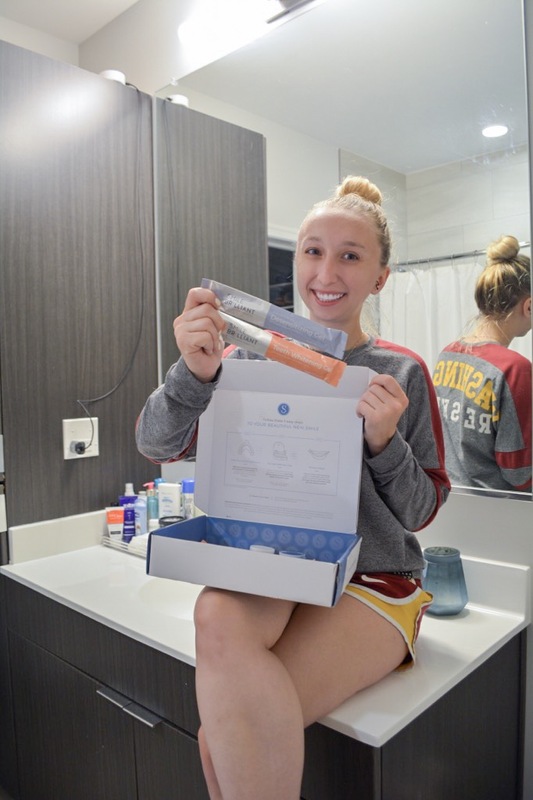 The best news is I'm doing a giveaway with Smile Brilliant and even if you don't win you can use my special code to get 15% off your order today! Use code felinebykatsaris20 at the checkout! Click here to enter the giveaway and let me know if you win!